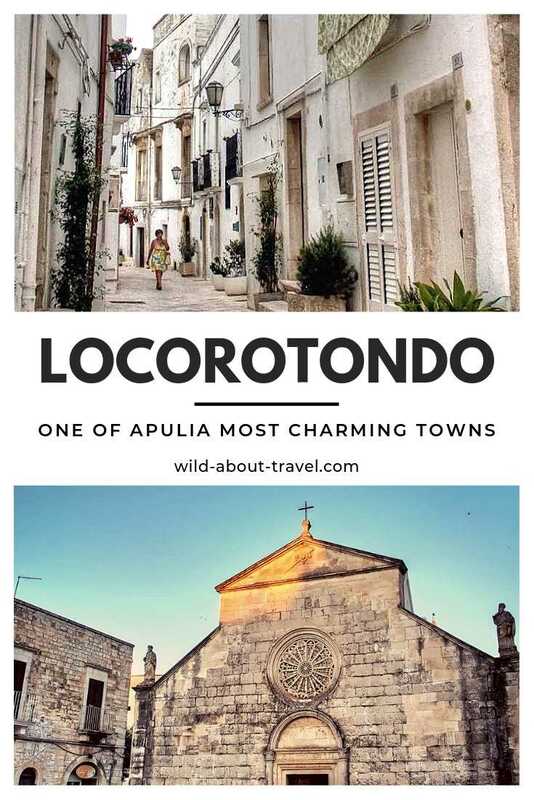 Less than 10 km from Alberobello, the delightful town of Locorotondo looks very different from the village famous for the trulli, the traditional whitewashed dry stone huts with their typical conic-shaped roofs. 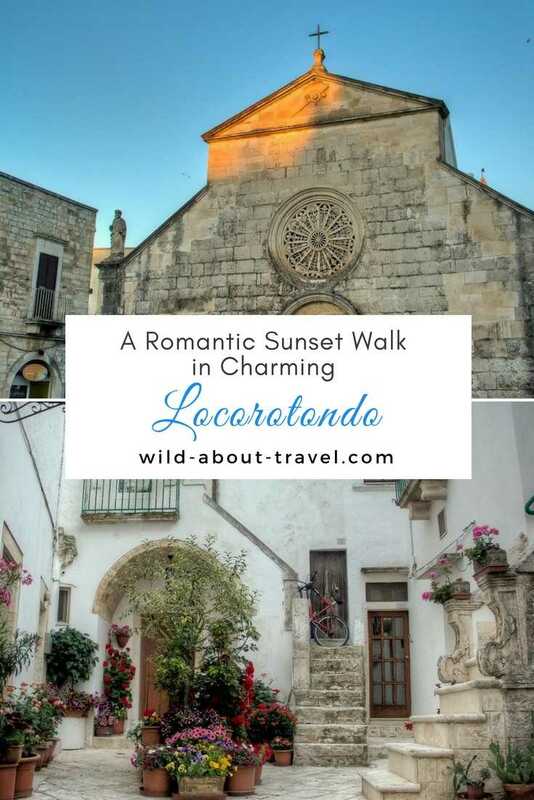 It may not have the UNESCO WHS status of Alberobello, but Locorotondo is listed as one of the most beautiful hamlets in Italy, and it’s not hard to see why. A labyrinth of cobblestone alleys flanked by old white houses, some with beautifully decorated small balconies, other simple, square and with the pitched roofs typical of the city. 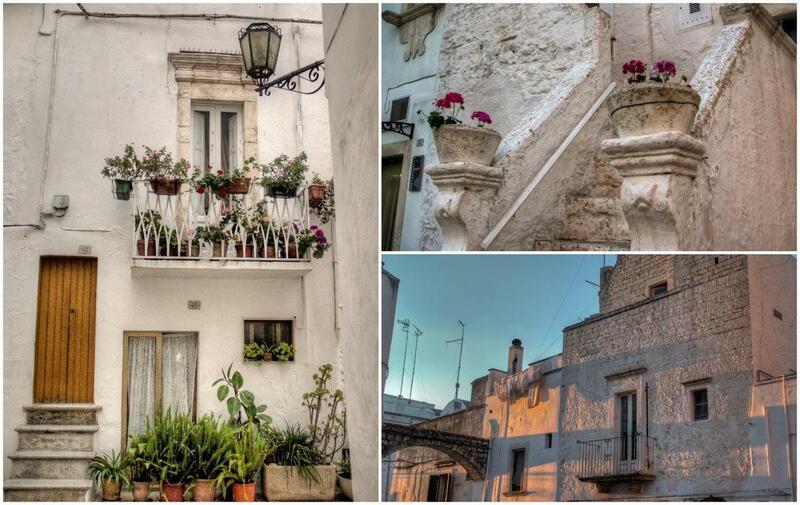 It reminded me of Ostuni, Ostuni, the ‘enchanting white city’, which is one of the many gems of the Apulia region, although Locorotondo seemed a little less touristy and possibly more genuine. I decided to visit late in the afternoon to escape the heat, somewhat stifling those days of June, as well as to enjoy the colors and light of the setting sun. 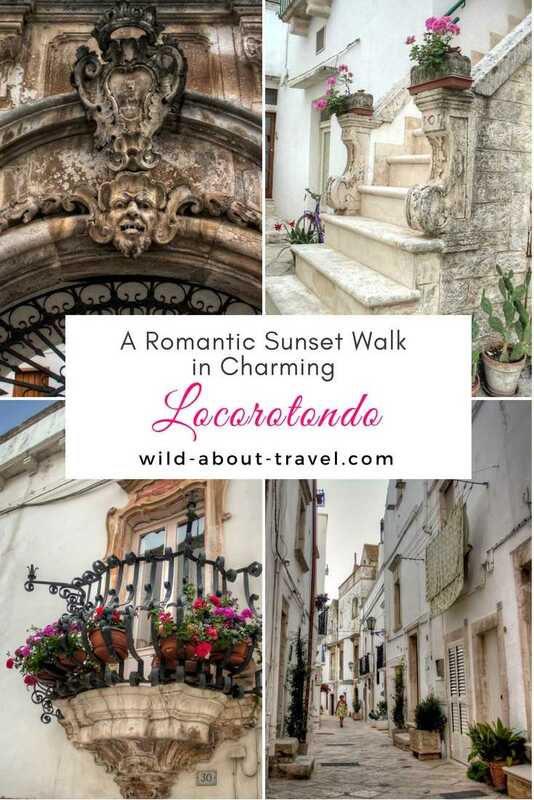 The name Locorotondo means ‘round place‘ and stems from its circular shape and the narrow streets following concentric rings. It overlooks the Valle d’Itria, the valley characterized by smooth hills, vineyards, centuries-old olive groves and the trulli. 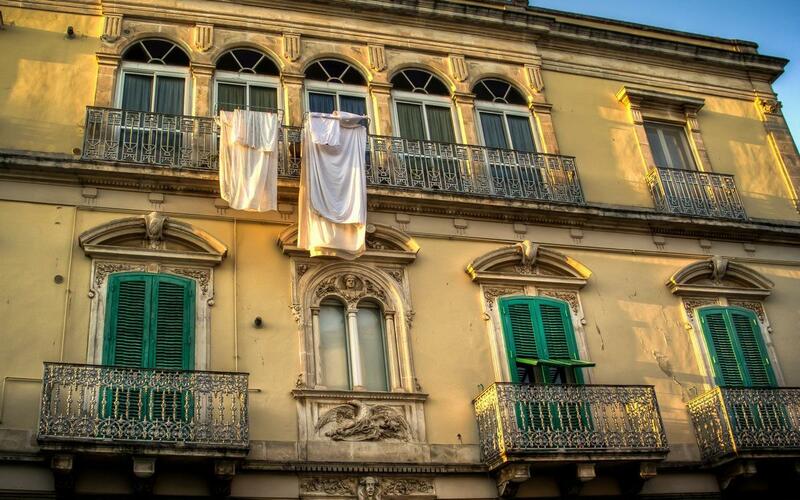 Laundry hanging from the balconies, bright flowers everywhere, locals strolling around and old people sitting at the doorstep, as it often happens in the Mediterranean countries. 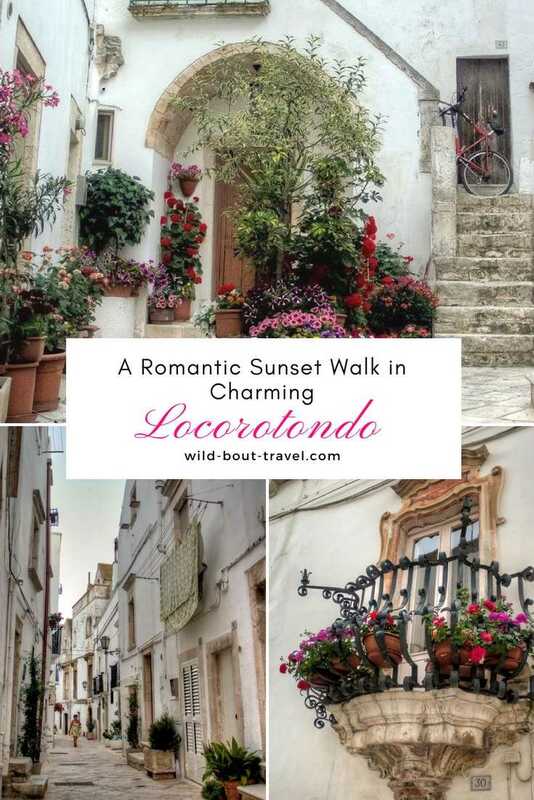 Locorotondo seems a little sleepy, no traces of the big cities’ frenzy here, only a pleasant, laid-back atmosphere. Interestingly, albeit Italian I visited the Apulia region for the first time only recently and it was a ravishing surprise. Besides the excellent food and delicious local specialties (in my opinion, one of the best in Italy, together with Sicily), the pretty towns and the friendliness of the people, I was impressed by how most of the places I visited are well kept. 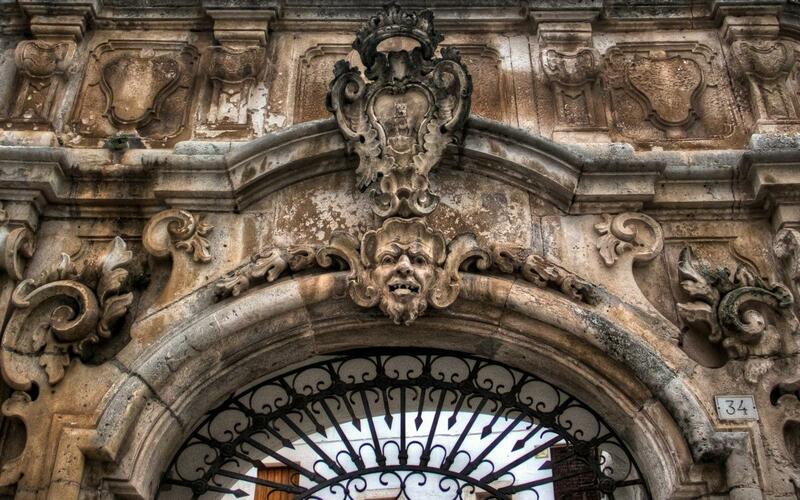 The historical center is neat and surprisingly clean, strolling along the pedestrian cobblestone alleys is relaxing, and the balconies and doorsteps embellished with flowers are a clear sign of how much the locals care about the place. 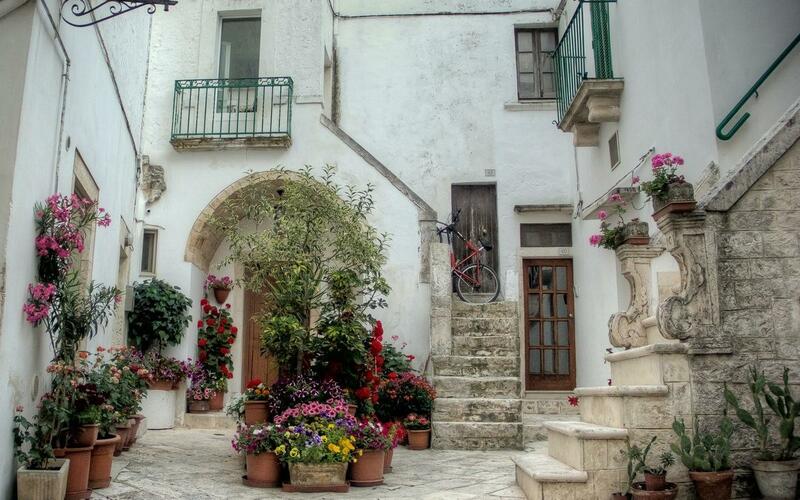 A different taste of Italy, a lovely town in an enchanting region. 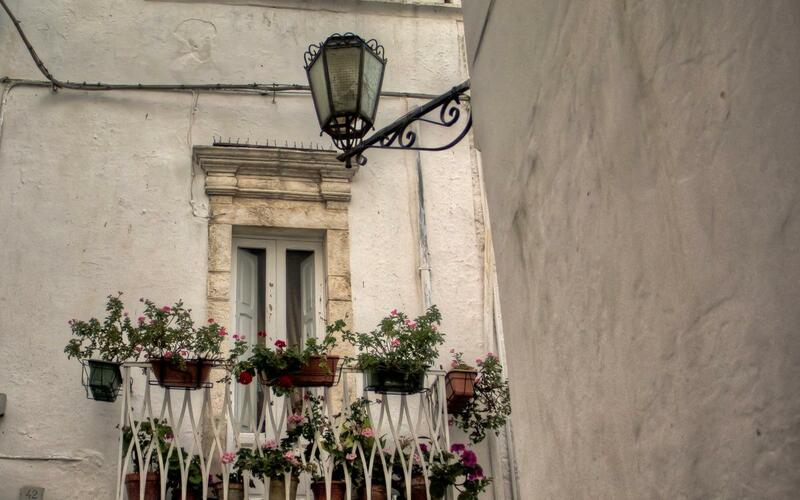 Have you visited Apulia? If so, which were your favorite places? 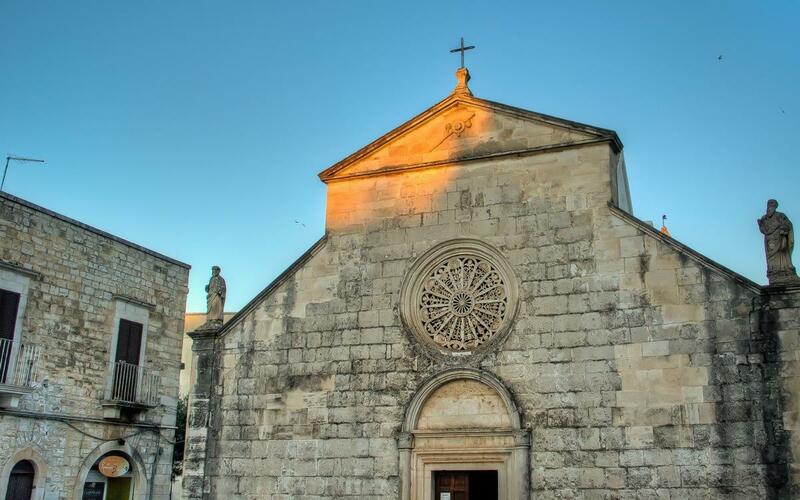 The nearest airports to reach Locorotondo and Valle d’Itria are Brindisi (55 km, 34 mi) and Bari (75 km, 47 mi). I usually check CheapOair to find the best airfares. You can get there also by train, but the connections are limited. Additionally, the port of Bari is connected by ferry to Greece, Montenegro, and Albania while from Brindisi ferries ride to Greece and Albania. Hiring a car is highly recommended to explore the area and stop along the way to visit the many interesting spots. Tenuta del Lauro is a beautiful resort where you’ll experience sleeping in a trullo (the typical local whitewashed circular homes with dry stone conic roofs) totally refurbished and exquisitely decorated. The patio overlooking the swimming pool is lovely and invites to relax with a glass of local wine. The beautiful Ottolire Resort is perfect to get a taste of the Valle d’Itria countryside. The hotel has modern rooms, a terrace, a garden, and a swimming pool. Bike rental is available if you wish to explore the surroundings and do a bit of exercise. 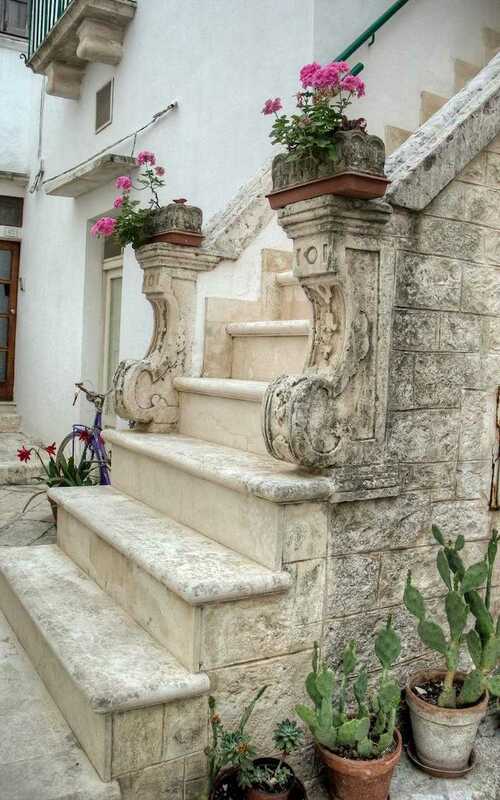 Pietra Pesara is a charming Bed & Breakfast combining the local traditional architecture with modern rooms tastefully decorated. 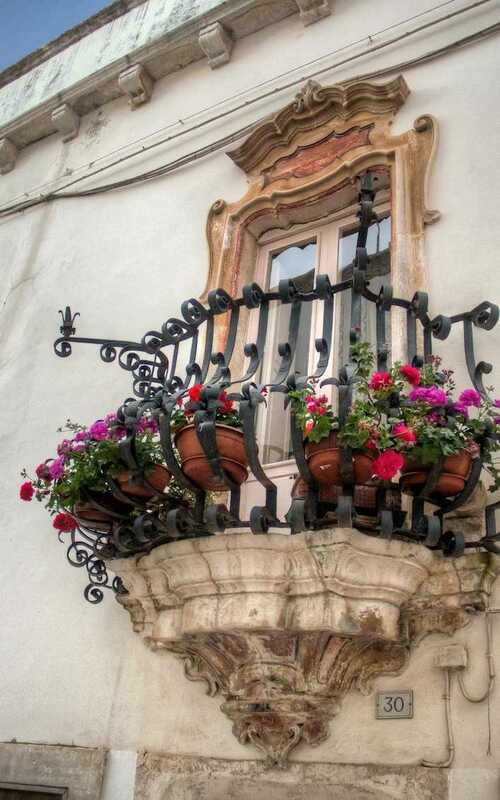 It features a patio and a garden and is perfect for a romantic stay. Petra Chiara Bed & Breakfast features an elegant countryside style, as well as a beautiful garden and a swimming pool to chill out and enjoy a bit of relaxation. Simon. 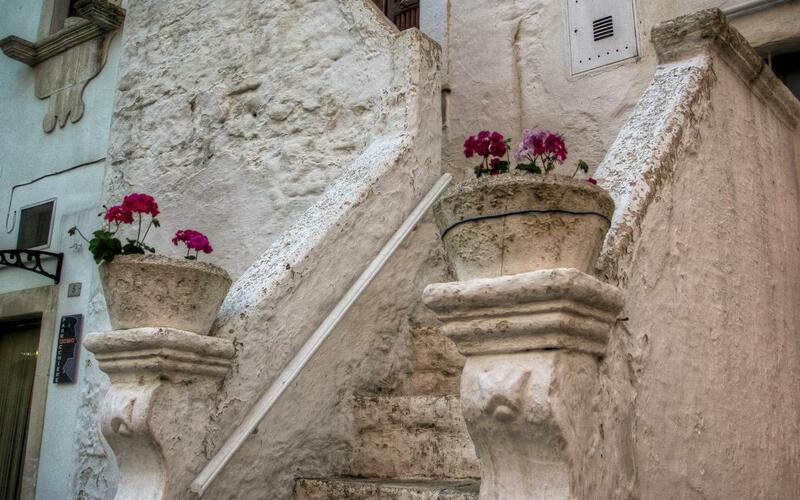 I love the pink and red flashes of color from the flowers on the white stone houses. Soooo pretty! I love that part of Italy, gorgeous sights and delicious food!